••• Image © Claudelle / Getty Images. If you're looking for big sweepstakes to enter, this is a great place to start. 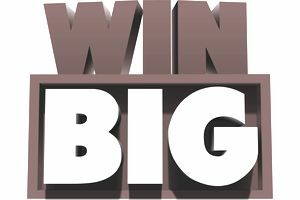 Big sweepstakes with dream prizes like cars, cash, vacations, and more, can all be found here. This list contains all of the sweepstakes listed on The Balance with at least one prize worth between $10,000 and $29,999. For prizes worth $30,000 and more, visit the Mega Sweepstakes List. One lucky winner will receive a free Jeep Gladiator. Even Bigger Sweepstakes to Enter on the Mega Sweepstakes List! Looking for even bigger sweepstakes? Visit the Mega Sweepstakes List, which contains all of the sweepstakes with prizes worth $30,000 and above!